My garden is finally producing something other than earwigs! Fresh turnips: I steamed them (with snap peas also from the garden) and served them with butter. 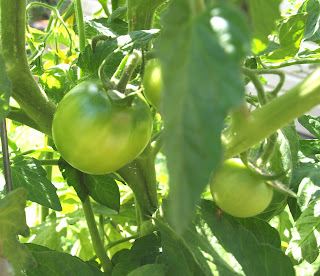 My tomatoes are getting bigger. Can't wait to eat these! And although they aren't a vegetable, the sunflowers are blooming too. A little sunshine for the garden. 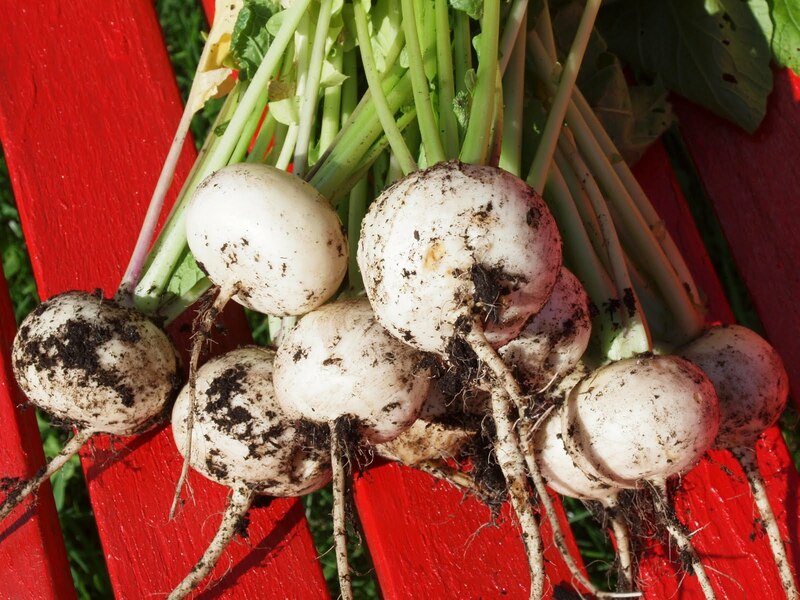 I love to eat the turnip root raw and boil the greens. Your veggies look delicious! Gosh, this looks good! I can't seem to grow anything in my yard other than weeds. Sheesh. I love sunflowers. They are just so darn happy looking. Beautiful! I'm sad that I didn't plant anything this year, but on the other hand it probably would've been a waste of money with 30+ days of 100+ degree heat in Texas. I don't even want to go outside. My veggies would've wilted in a heartbeat. Loving your pics! Keep 'em coming! Nice tomatoes, soon you will enjoy its freshness, juiciness and crispness. 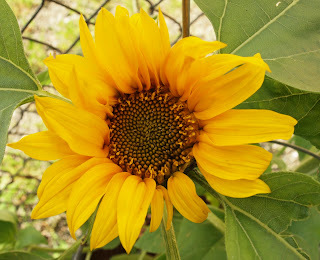 Your sunflowers can be useful, the flowers may not be eaten directly but I know the seeds are great as spice or flavor. I just love the sunflower plant!congratulations on your harvest!